Henri Lebesgue was a French mathematician who introduced the modern definition of an integral. 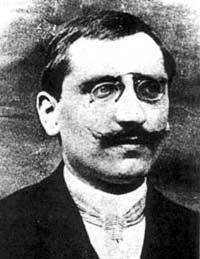 Lebesgue graduated from the École Normale Supériere and, from 1921, taught at the College de France. He and Emile Borel founded the modern theory of functions of a real variable, Lebesgue's great contribution being his new general definition of an integral (1902), which became known as the Lebesgue integral (see integration). This led to important advances in calculus, curve rectification, and trigonometric series, and, in Borel's hands, marked the start of measure theory. Although the Lebesgue integral was an example of the power of generalization, Lebesgue himself wasn't a fan of generalization and spent the rest of his life working on very specific problems, mostly in analysis.